PLYMOUTH - Cliff’s Automotive is celebrating its 10th year in business this month at its location at 410 Main St., Terryville. 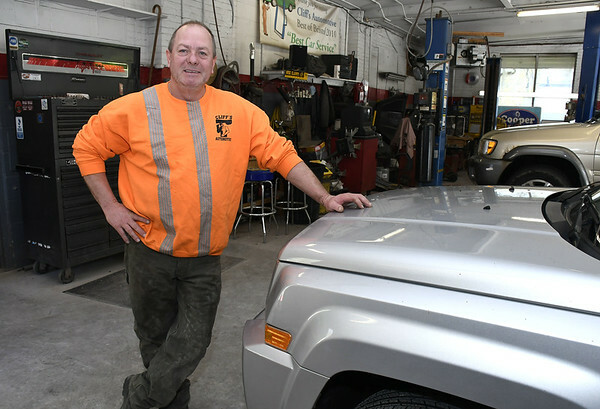 Cliff Jones, owner of Cliff’s Automotive, says that for the past three years he has been celebrating the longevity of his business in the form of an annual Christmas party at the Aqua Turf Club for customers and vendors. This is a tradition that he plans to continue. Jones said that business has been good and that his shop is where he wants to be right now. Cliff’s Auto is accredited by the Better Business Bureau and has earned the Automotive Seal of Excellence. Jones has been an automotive mechanic for 30 years and runs the shop with occasional help from his wife, Laurene. Cliff’s Automotive has regularly received “Best Of” awards from Bristol Press readers. Cliff’s Automotive offers free first-time check engine diagnostic, general repair, oil changes, tires, brakes and exhaust for cars and light trucks. Jones always stresses that regular maintenance, oil changes and inspections are the best way to make a vehicle last. “If anything doesn’t feel right or doesn’t sound right you should get it looked at,” he said. Cliff’s Auto plans to participate in the Demolition Derby at the Terryville Fair again this August, entering two vehicles. Jones and his family also participated in and sponsored the Pinewood Derby. Cliff’s Automotive is open 8 a.m. to 5 p.m. on Monday, Tuesday, Thursday and Friday, Wednesday 9:30 a.m. to 5 p.m., and 8 a.m. to 1 p.m. on Saturdays. For more information, call 860-314-9528 or visit cliffsautomotivect.com. Posted in The Bristol Press, Central CT Chamber of Commerce, on Tuesday, 22 May 2018 21:13. Updated: Tuesday, 22 May 2018 21:16.